Simple actions you can take while at work to help contribute to a healthier, more sustainable community. Take five minutes to turn off lights, power down your computer, and unplug electronics. Donate and swap unwanted office supplies, books, clothes, and other items at regular Freecycle events or at your local Freecycle area. Many Schools and offices compost. Learn what can and can't go in your compost bin. Single stream recycling is deployed campus-wide — that means everything that's recyclable can go in one bin. Harvard offers a bicycle commuter benefit, discounted Blue Bikes and Zipcar memberships, a free shuttle, discounted MBTA commuter passes, and carpooling options. Get discounts on coffee at participating locations or create a mug tree for your office. Designed by the Harvard T.H. Chan School of Public Health, the Healthy Eating Plate helps you create healthy, balanced, and flavorful meals. Check out the Sustainable Meeting and and Event Guide for tips related to food & beverages, waste reduction, and movement - all with a focus on sustainability and well-being. Shop the Harvard Farmers' Market on the Plaza on Tuesdays from June through November. As a Harvard staff member you have access to a variety of health and wellness resources that can help you stay positive and healthy year-round, including the Employee Assistance Program and resources related to mindfulness and caring for yourself. Try joining Harvard on the Move which sponsors weekly walks and runs for both beginners and experienced runners and walkers, or take advantage of staff discounts at the Harvard Center for Wellness and Health Promotion. Harvard may be located in a city, but it is also part of a vibrant and thriving ecosystem. Take the T to visit the Arnold Arboretum or institute a walking meeting or group. 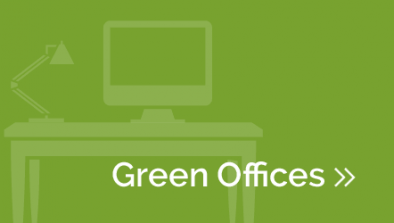 Take the lead on greening your workspace and follow the step-by-step Green Office Program to certify your office. 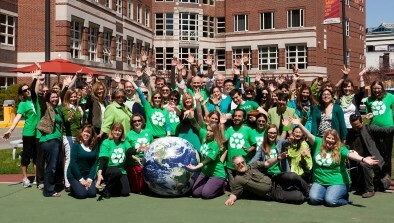 Green teams are a great way to meet new people or get involved in sustainability on a volunteer basis at work!